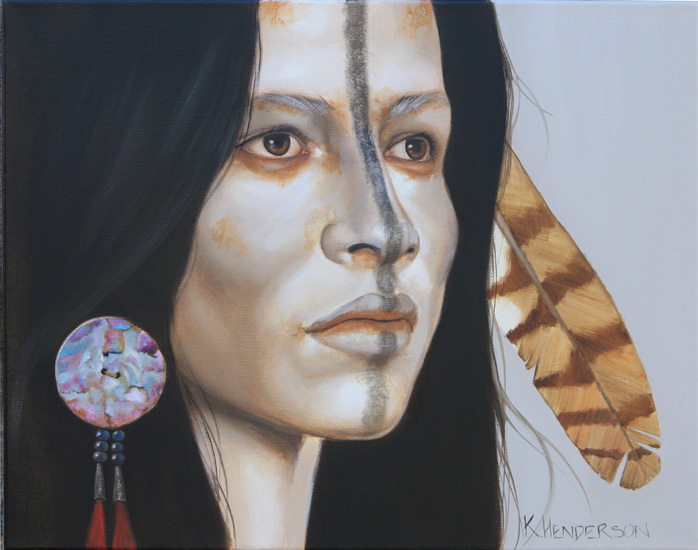 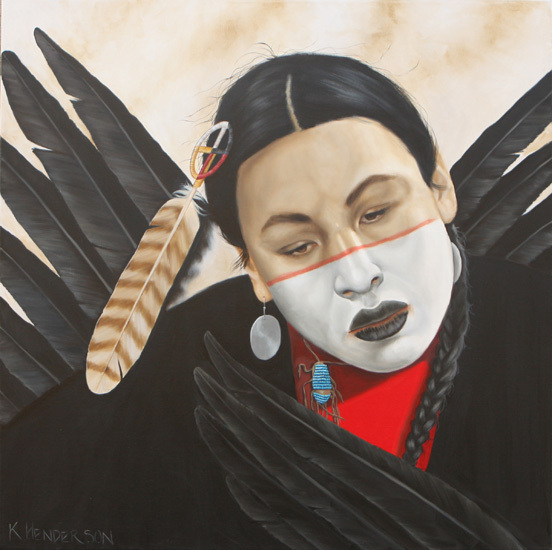 K. HENDERSON born and raised in Oklahoma of Cherokee heritage, now makes her home in rural New Mexico. 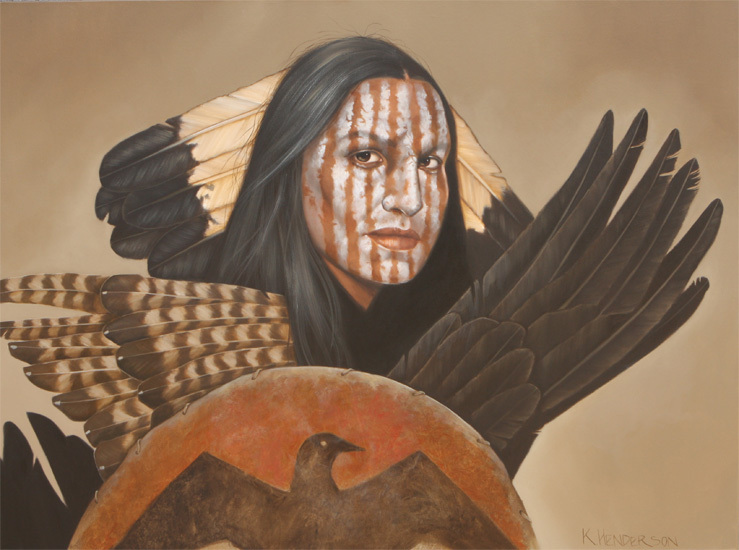 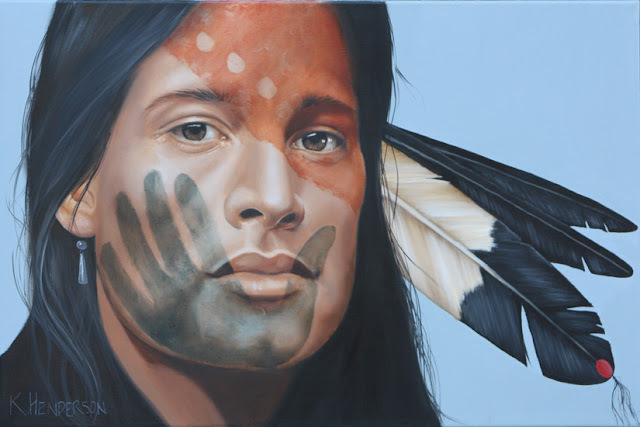 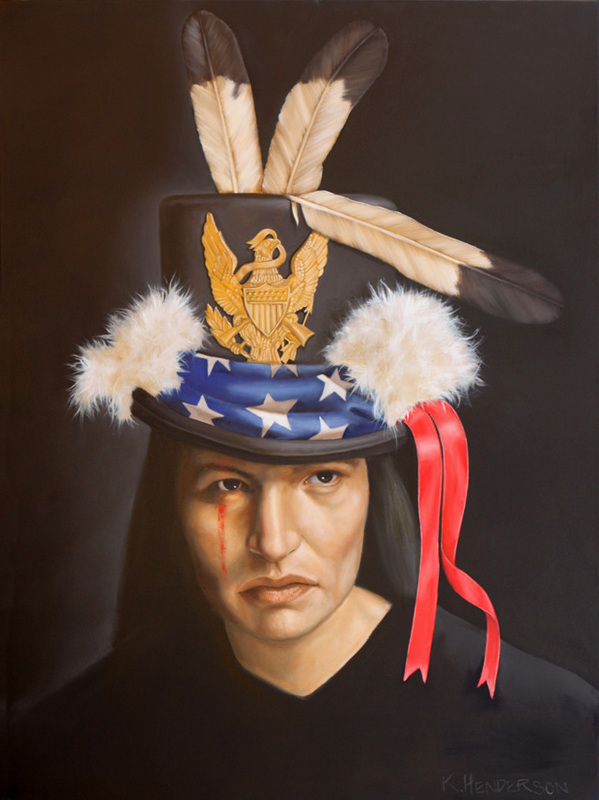 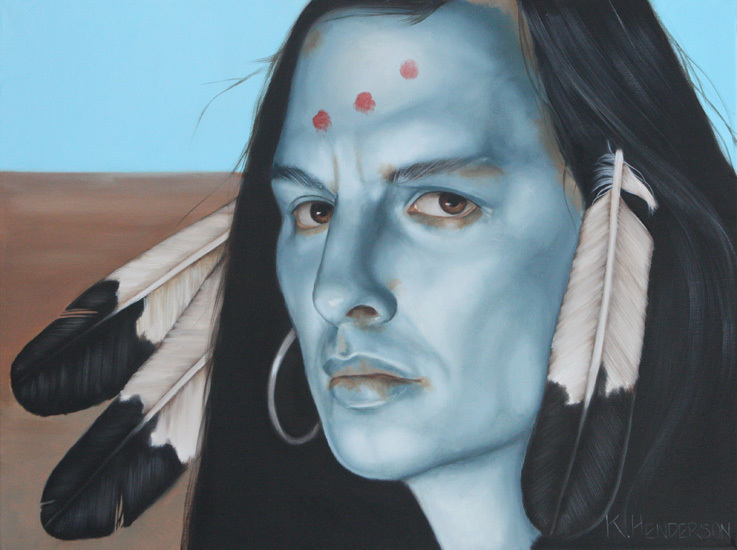 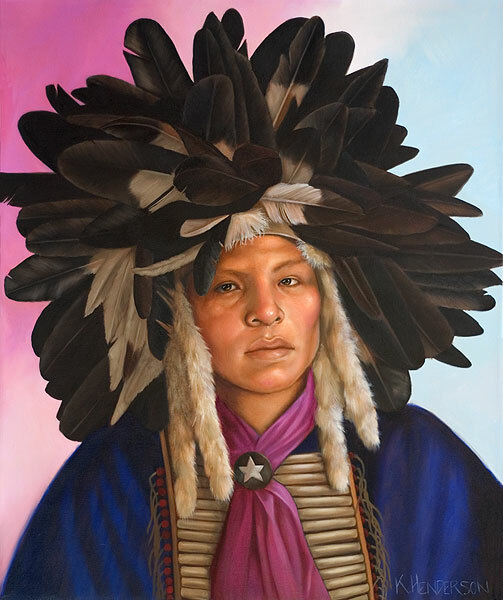 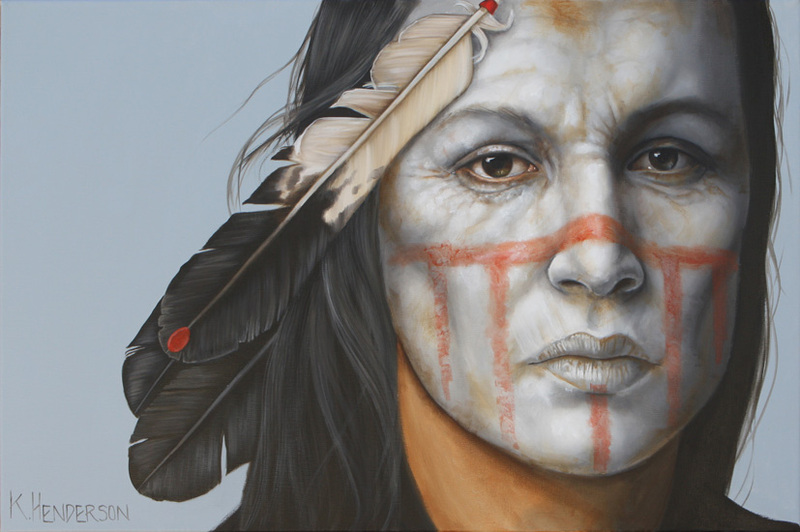 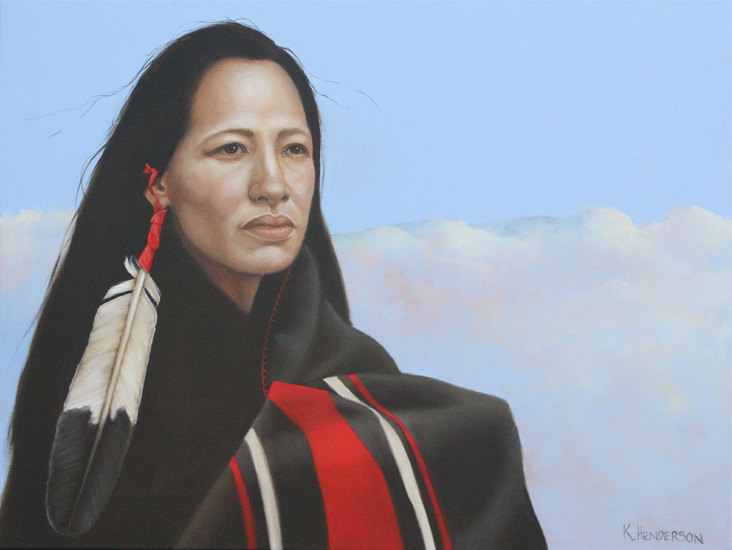 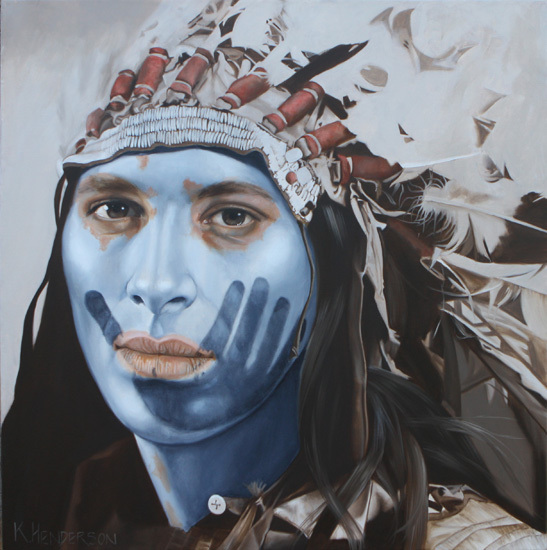 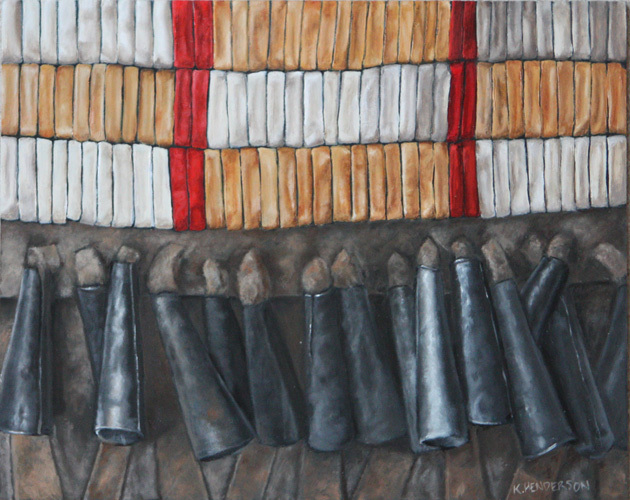 She feels that both locations have provided her with inspiration for her contemporary Native American paintings. 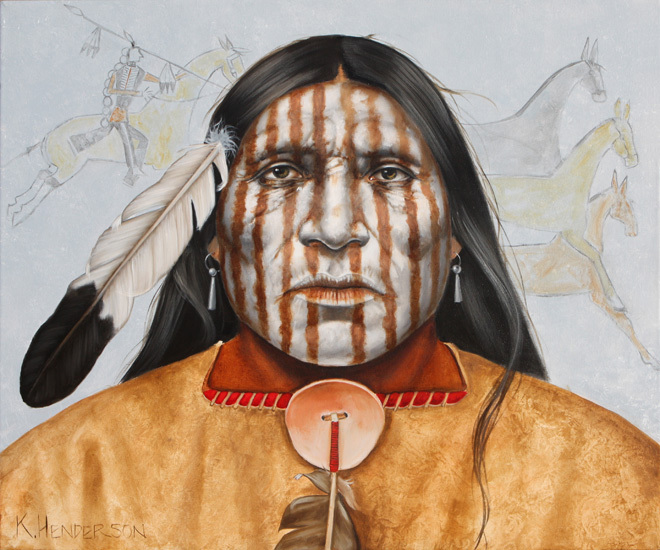 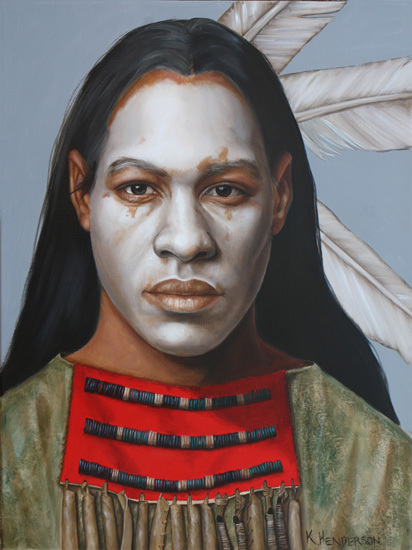 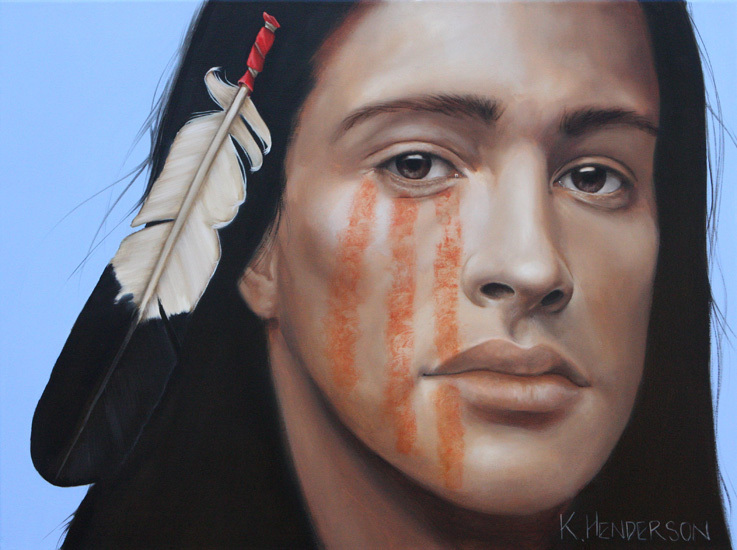 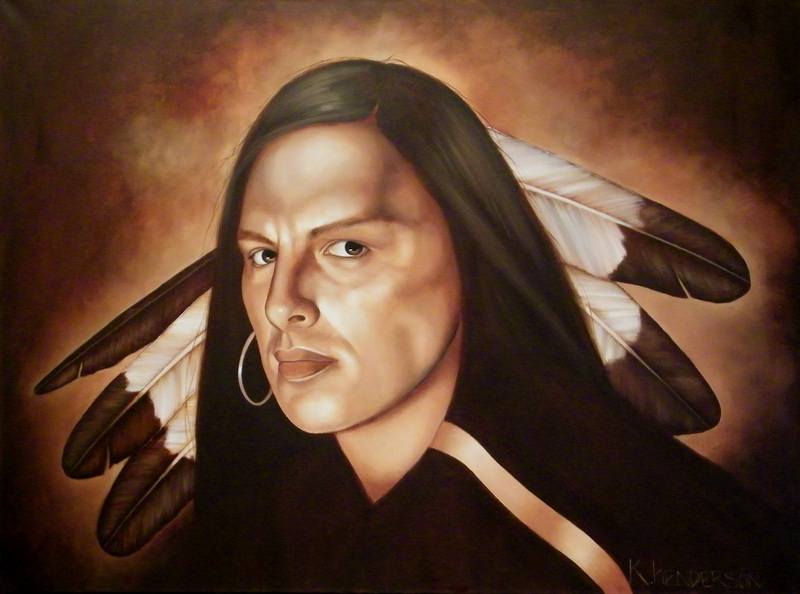 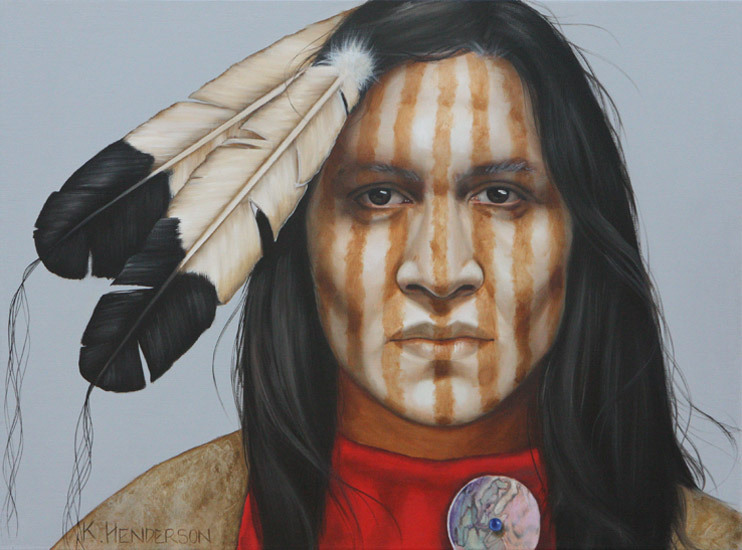 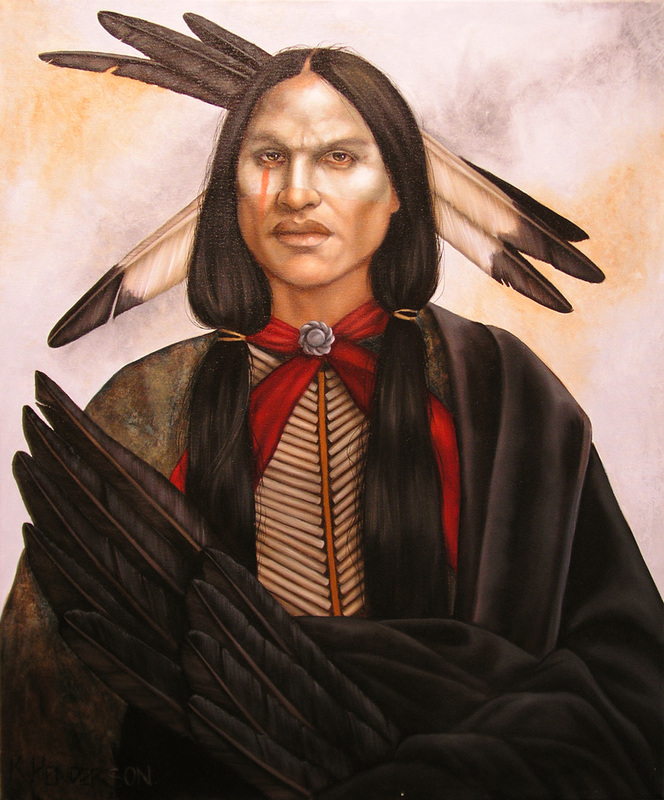 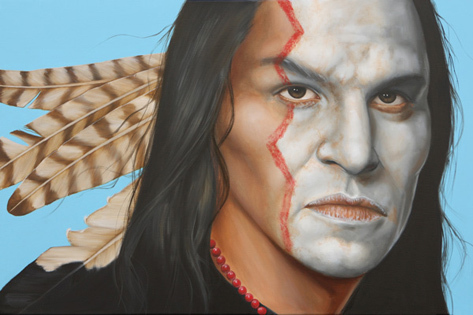 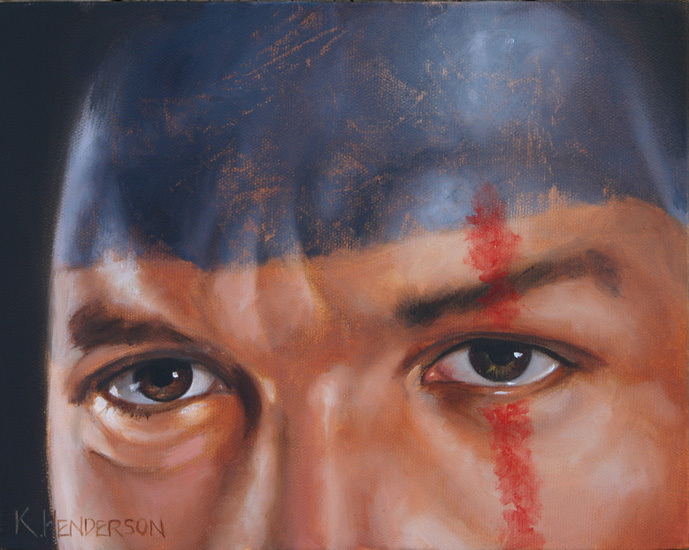 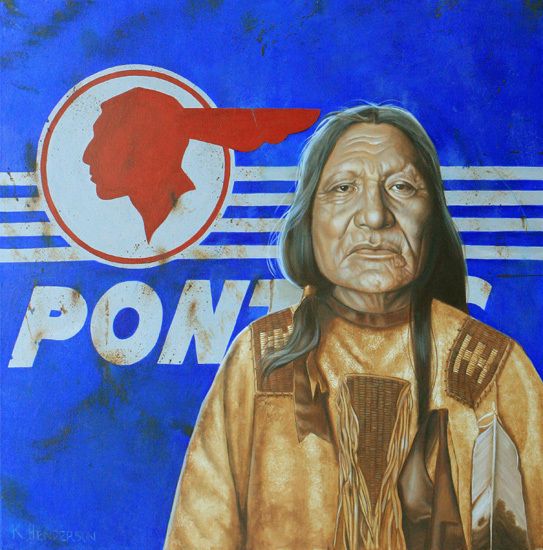 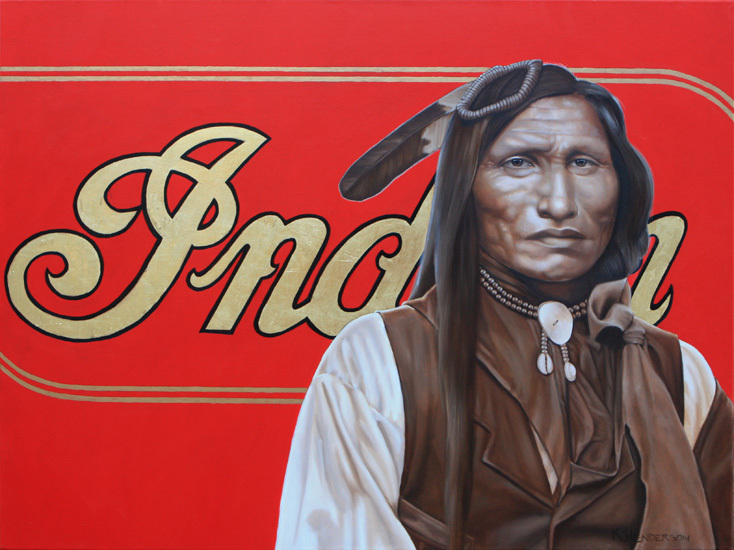 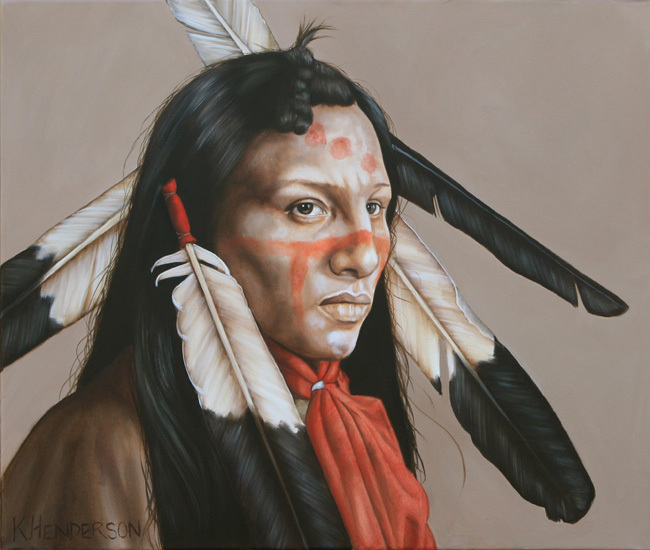 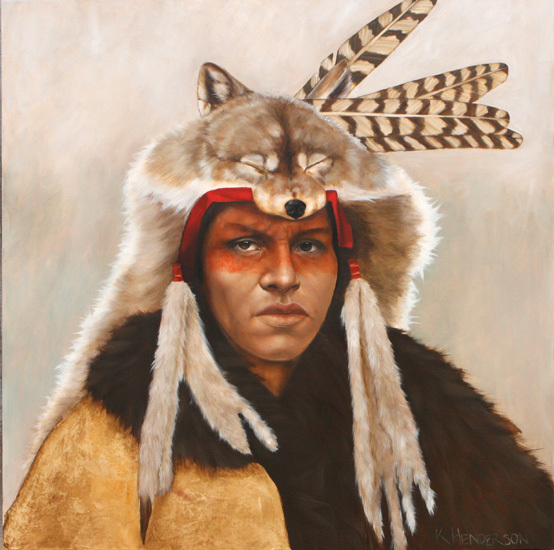 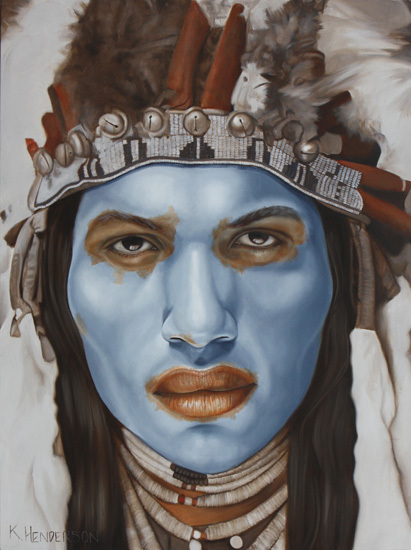 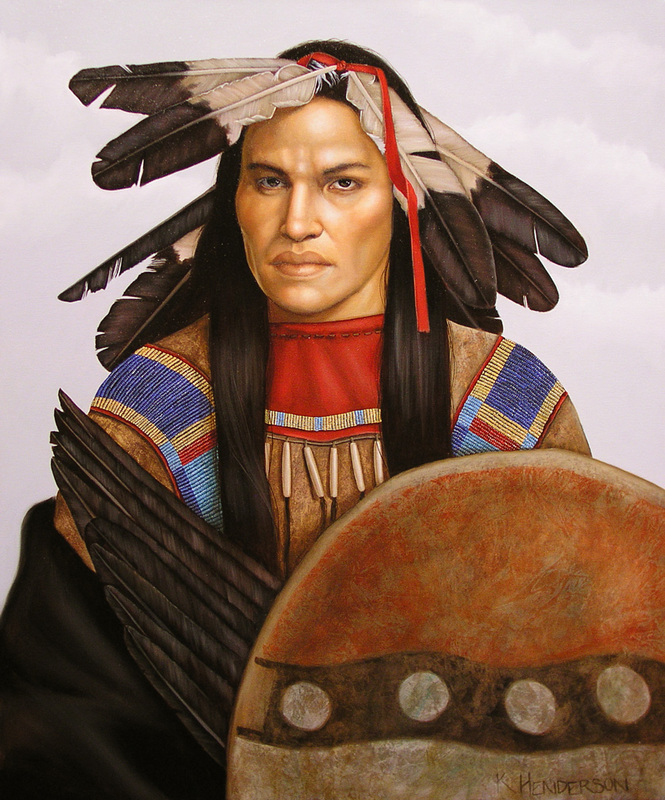 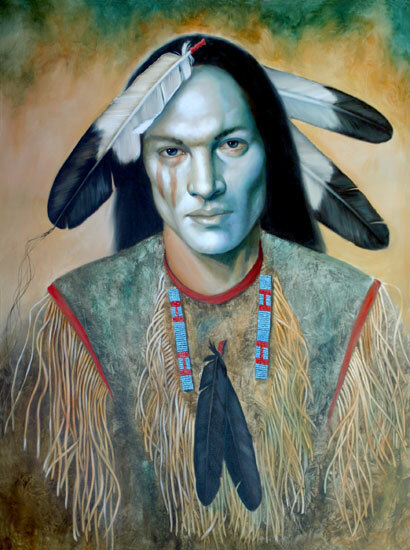 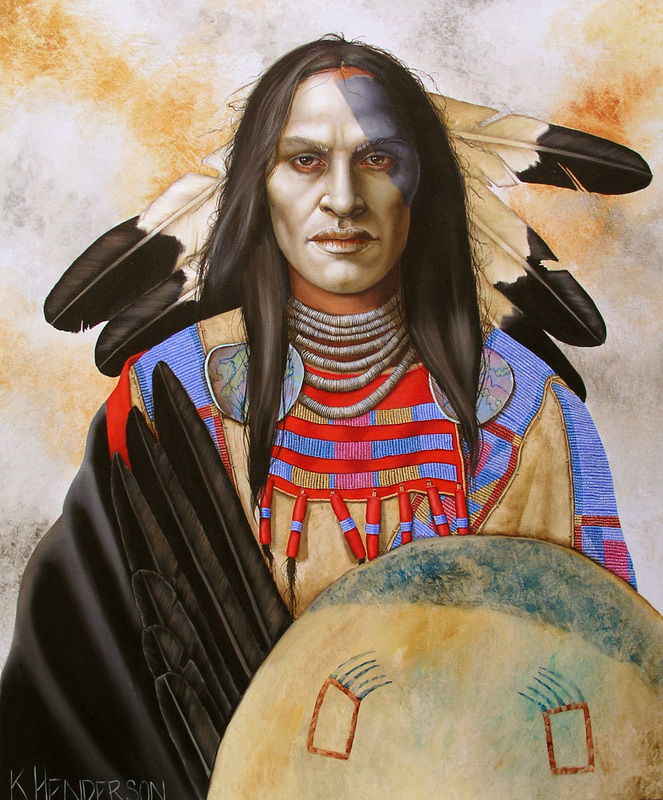 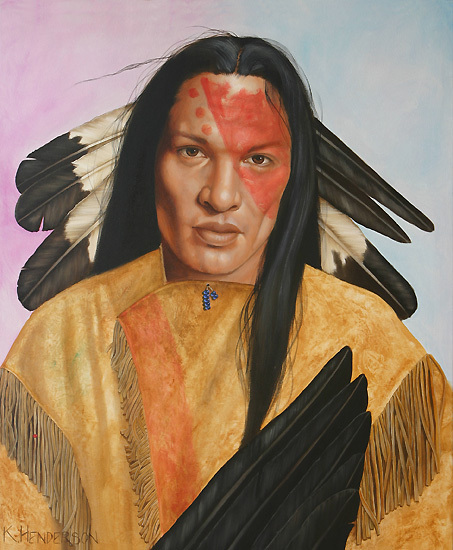 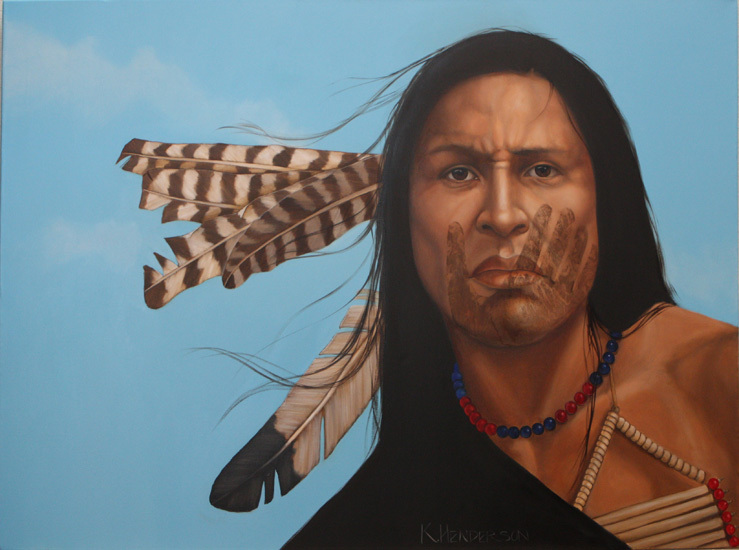 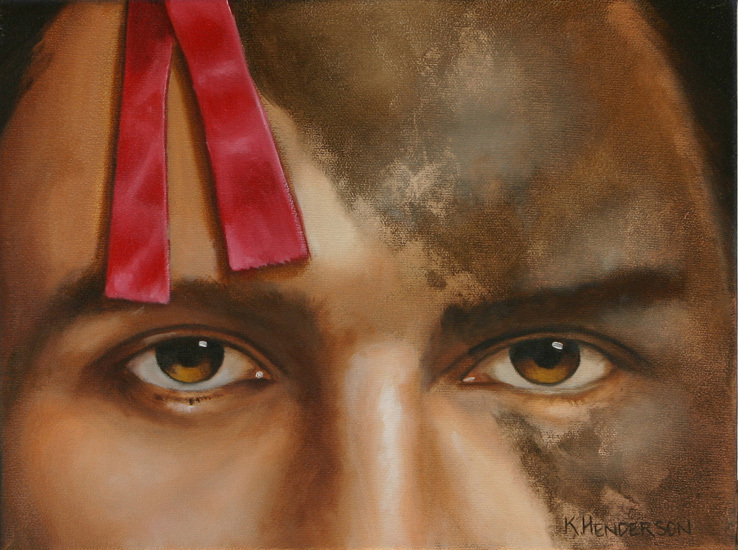 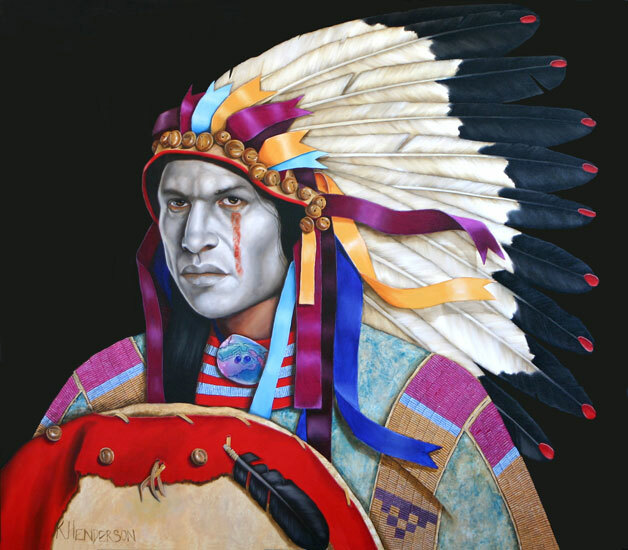 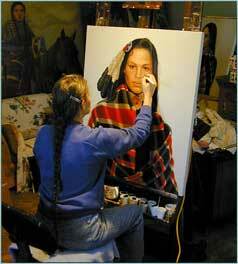 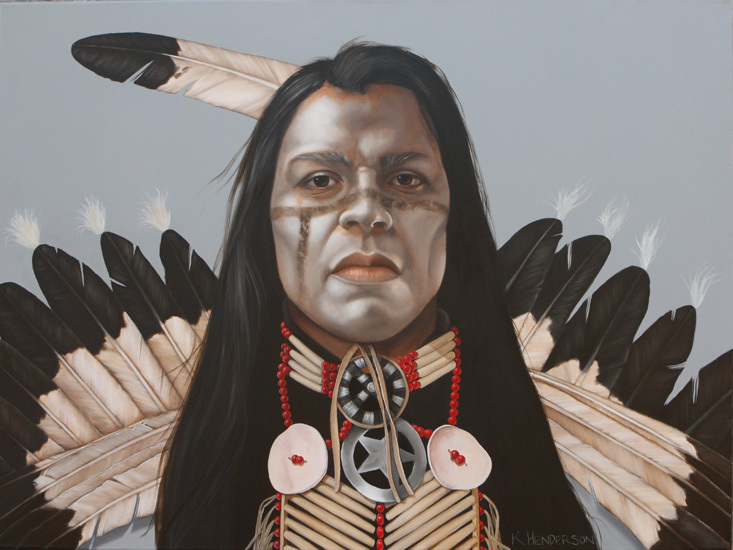 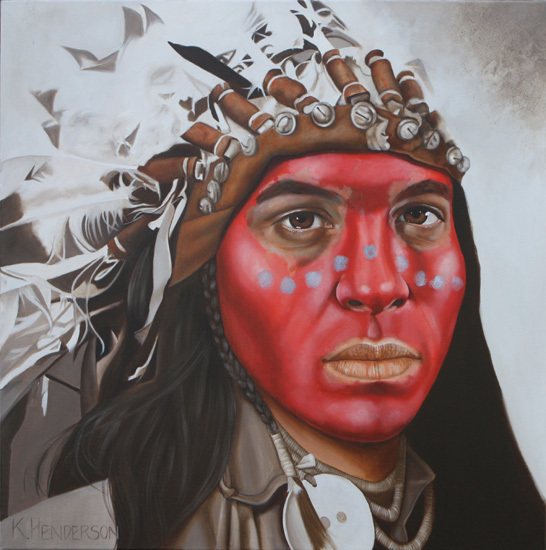 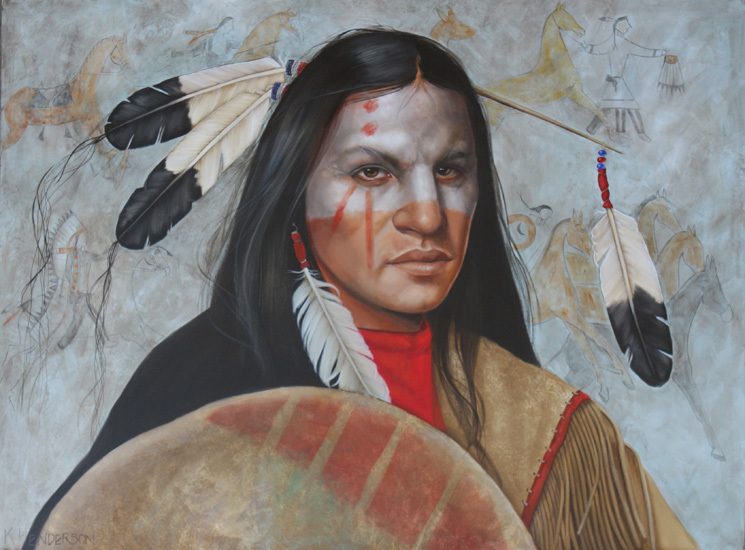 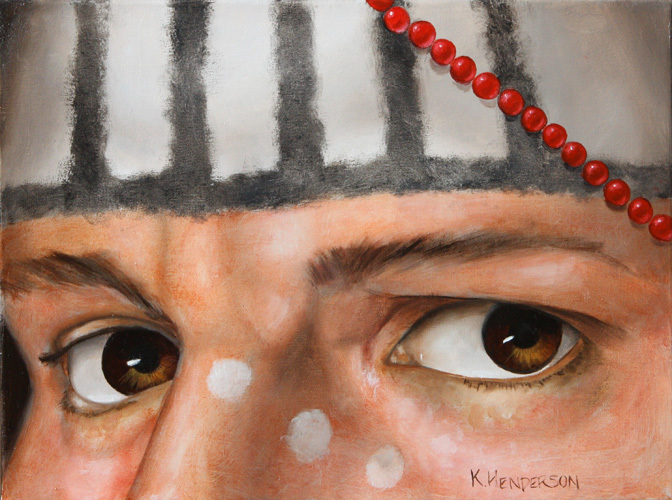 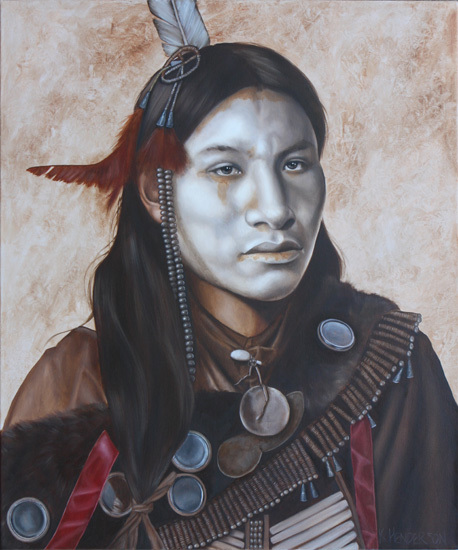 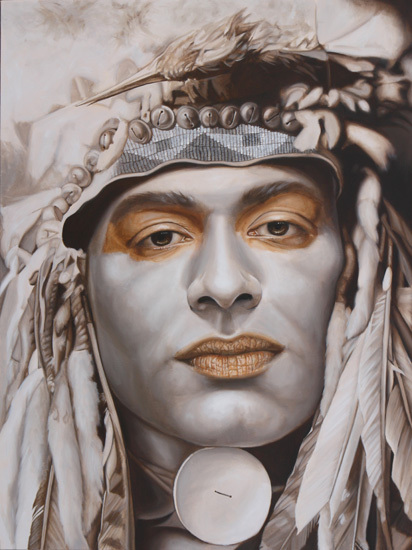 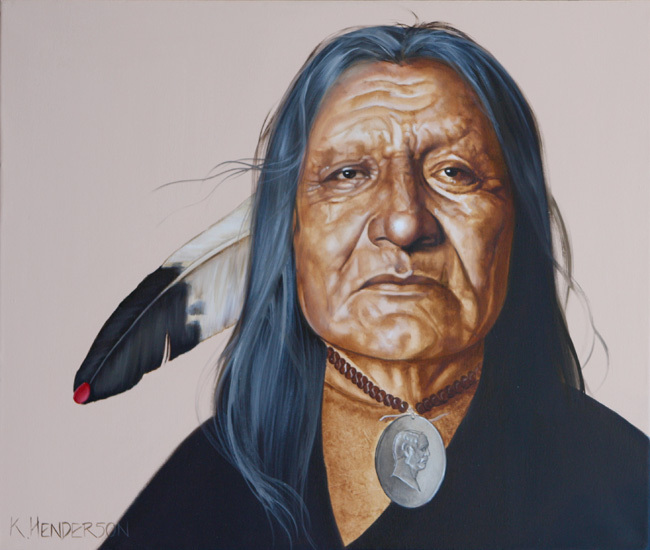 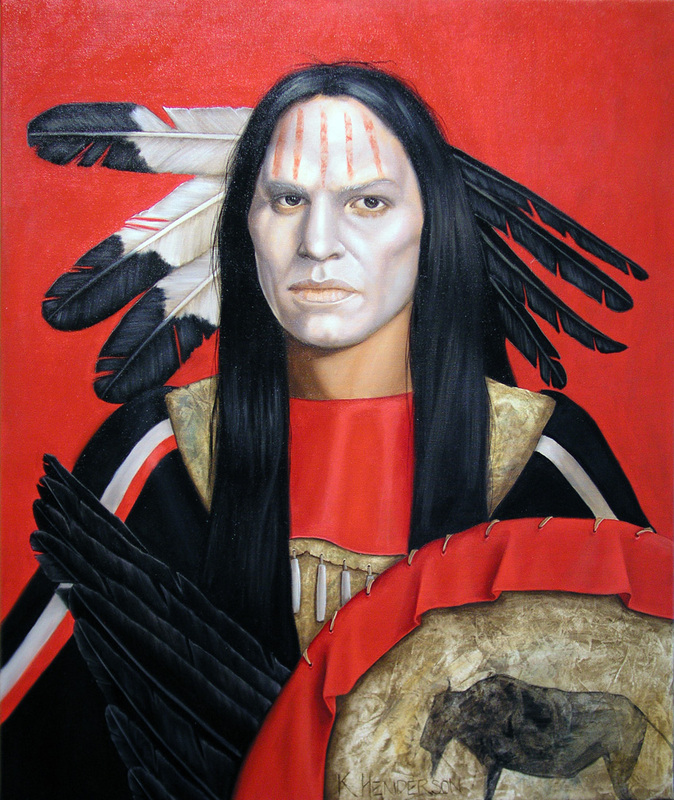 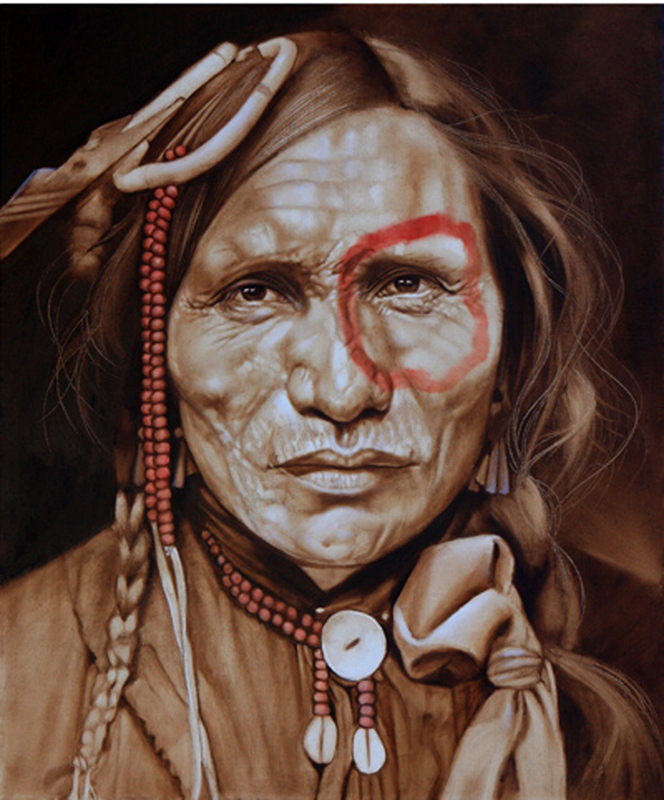 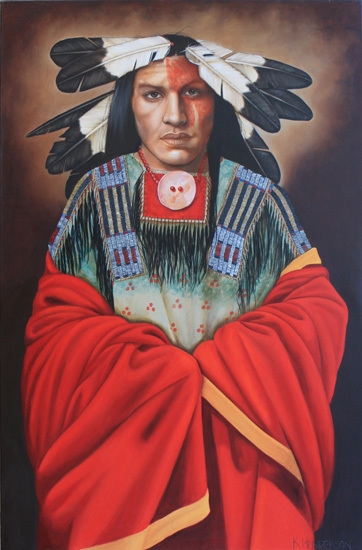 Henderson has been featured in Southwest Art magazine, Oklahoma Today, and several books on Native American artists. 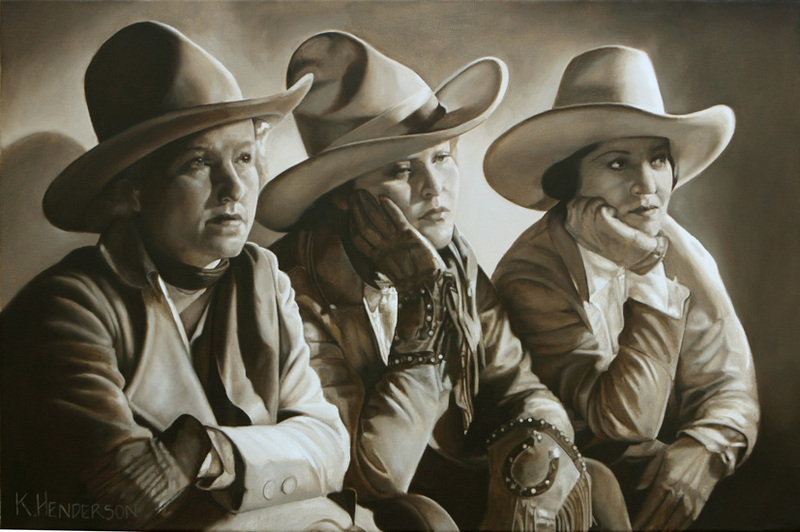 When studying painting in Tulsa and later in San Jose California, Henderson was drawn to the realism of the Renaissance painters. 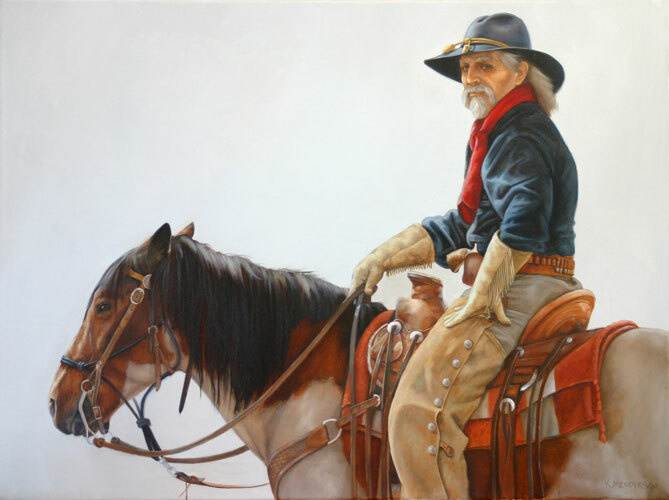 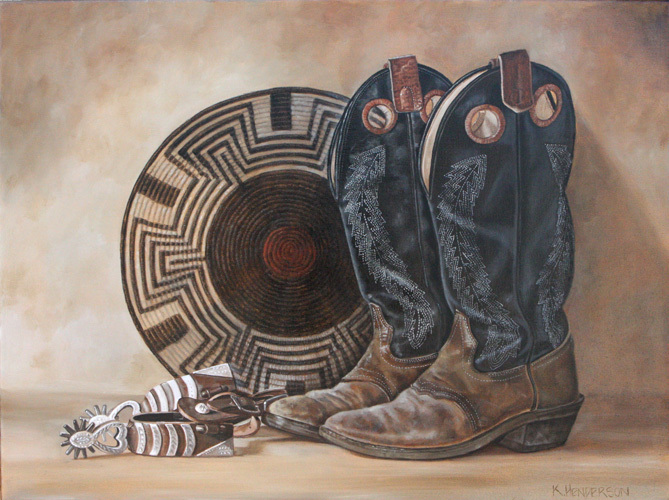 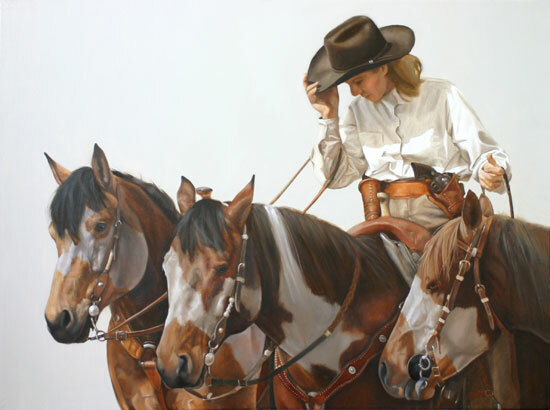 She has worked in oil, pencil and pastel but now focuses on oils for her detailed representational figures and Western themes. 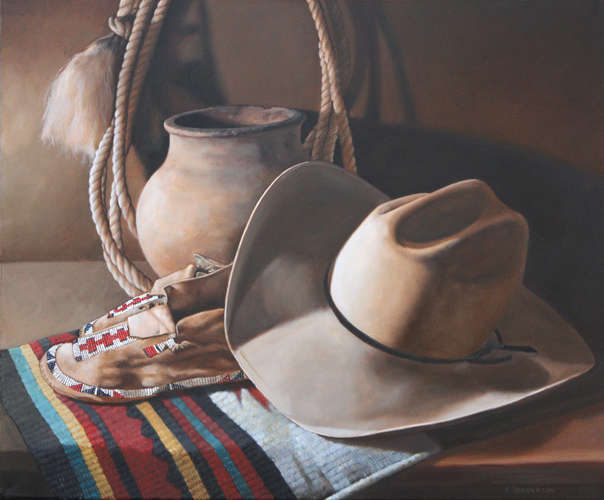 Her favorite subjects are Indians, cowboys, cowgirls, and horses. 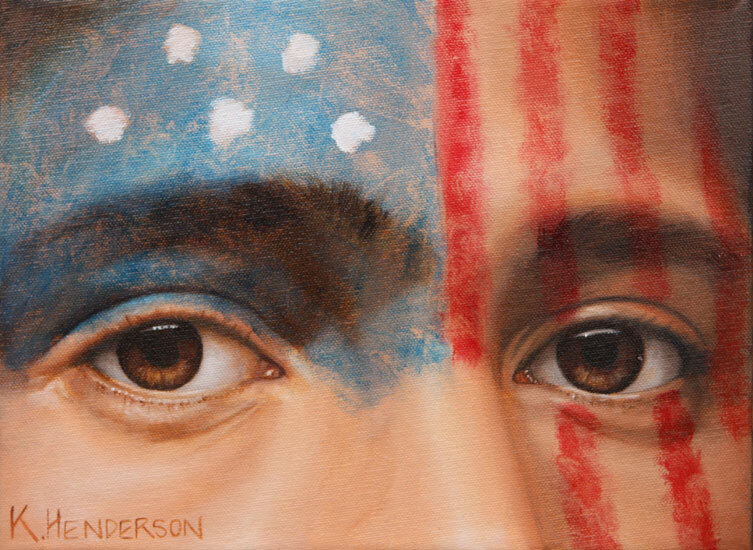 Henderson has been awarded more than 60 First Place or Best of Show awards since 1980 and recently received the Best of Show award at the 7th Annual Celebration of Western Art in San Francisco. 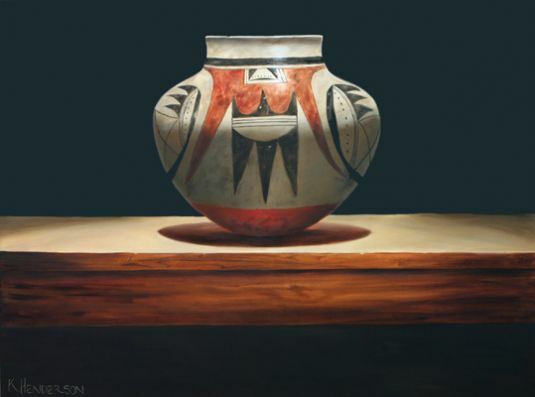 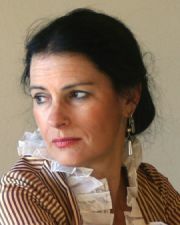 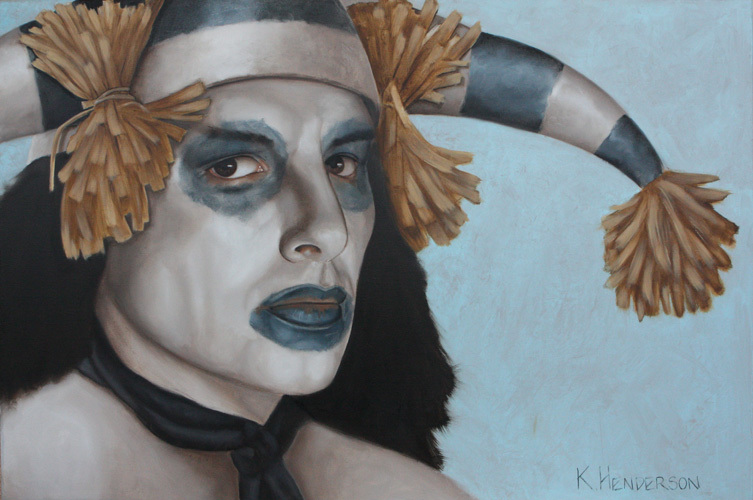 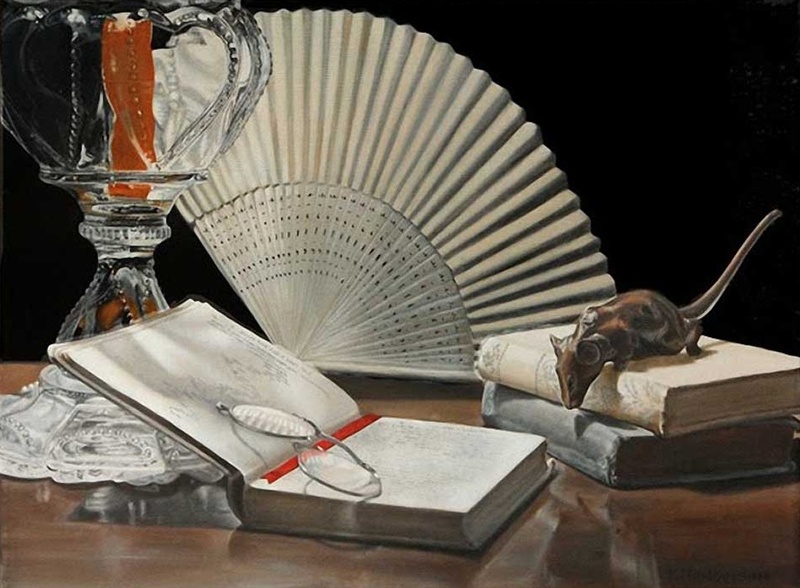 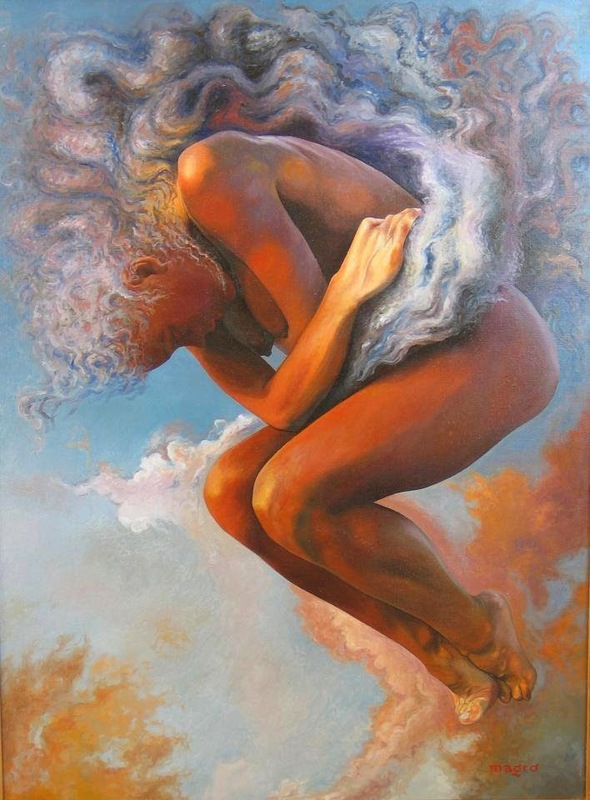 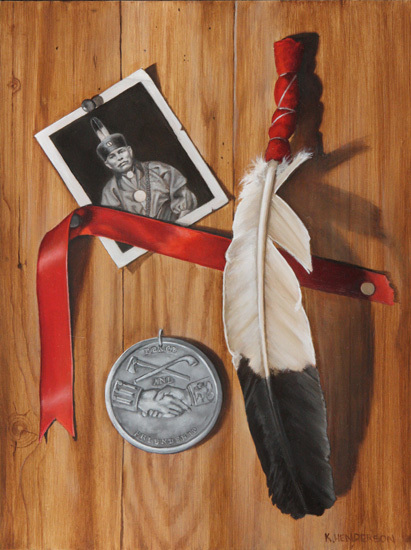 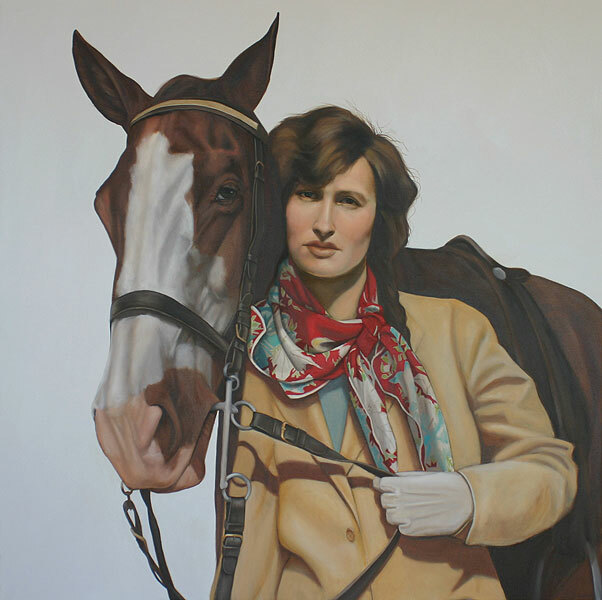 She received an Award of Excellence at the National Oil & Acrylic Painters Society show in 2011, and her work will be included in the International Guild of Realism traveling exhibition in 2012. 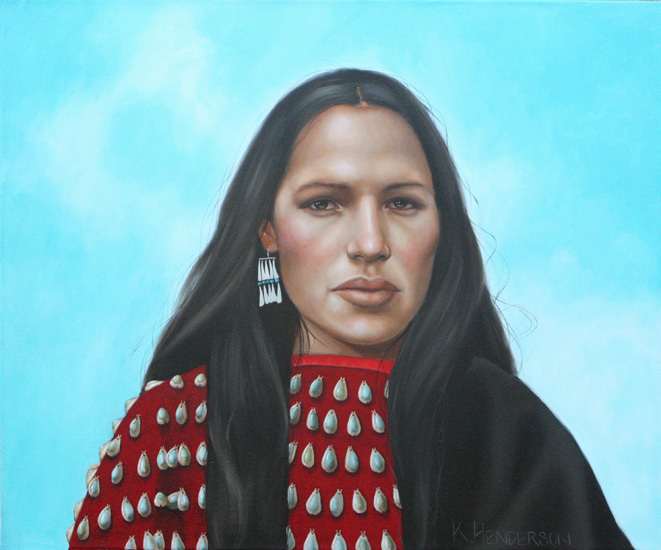 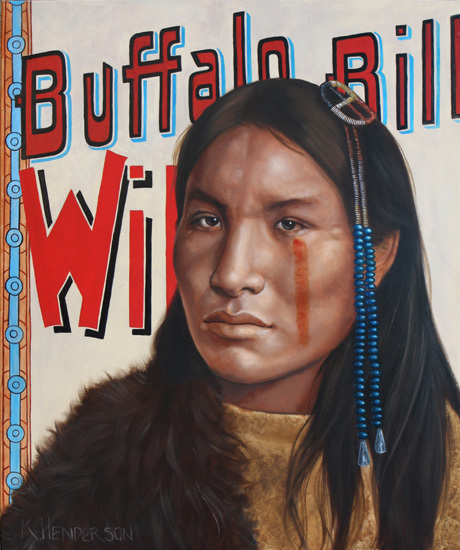 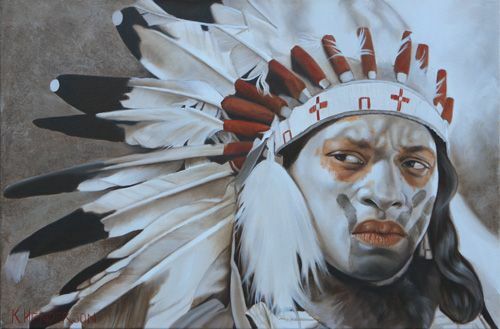 Her paintings have been included in museum and gallery shows throughout the country including the Smithsonian National Museum of the American Indian, the Museum of the Cherokee, and the Five Civilized Tribes Museum. 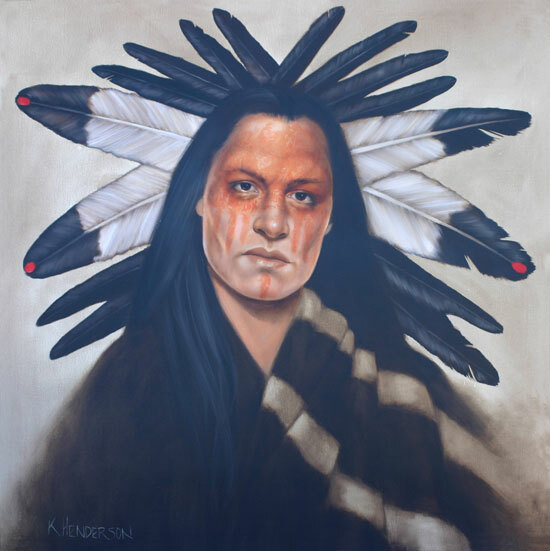 Henderson is a member of Oil Painters of America (OPA), American Women Artists (AWA), American Plains Artists (APA), and Single Action Shooters Society (SASS).